"Paul @ Robotic Surgery Today: Today we are pleased to bring you the first of a two-part interview with Dr. Tamás Haidegger. Tamás is a youthful but already quite distinguished pioneer, researcher, author, surgeon, entrepreneur and blogger in the field of robotic surgery. Tamas, You’ve been following developments in the robotic surgery field for over 10 years. Tell us how you first got involved in this area and share some highlights of your journey? 13 years ago. I was preparing a review on space robotics (which was my preferred research topic as an undergrad), and read a news article on the neuroArm, the MRI compatible robot. NeuroArm was developed at the University of Calgary in collaboration with MacDonald Dettwiler (MDA), who built CANADARM for the space shuttle and CANADARM-2 and DEXTRE for the International space Station (ISS). I fell in love immediately with the field. I dedicated my undergrad and grad program to surgical robotics, then was happy to be the first person to graduate with a PhD in this field in Hungary. Over the past 5 years I have been working on building my lab to become a potent research center in Computer-Integrated Surgery. 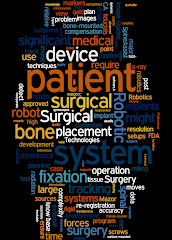 Paul: What have you found to be most perplexing and worrisome developments in the robotic surgery space? What have been your biggest surprises? Dr. Tamás Haidegger: I am seeing some amazing development in the domain of nanorobots, which are representing astonishing engineering, yet their future wider adoption and potential misuse bothers me a lot. I’m still being surprised by how complex this field is and just how challenging it is to make a product successful. You definitely need good engineering and good business models but also a pot of luck. Paul: How do you see the field of robotic surgery evolving over the next 5 to 10 years? What from your perspective are key problems to be addressed and opportunities to be seized? Where do you think innovation is most needed? Dr. Tamás Haidegger: We are able to solve many of the mechatronic issues, and even the integration of some limited cognitive functions (e.g., decision support systems) is now a reality. Again, the major challenge is still to bring these technical advances to the market, and provide real clinical and economic benefit. Paul: Which companies and countries do you see as the current leaders and how do you think this may change over the next 5 years? What new services or products do you think will be needed? Any other opinions or insights you would like to share with startups & investors? Paul: There are high expectations for robotic surgery, what developments in your perspective could make the robotic surgery field obsolete? How likely is this?